The New York Times bestselling author and country music superstar reveals how to embrace the opportunities that come with age and make one's later years truly golden. In Naomi's Guide to Aging Gratefully, Judd debunks society's myths about aging. She helps us define ourselves from within, find our real beauty, and enjoy the benefits that come with growing older. With fifteen important life choices, she shows how to find freedom and simplicity in the latter half of life. Each chapter offers vital, proactive suggestions for developing a healthier body, mind, and spirit at every age. Who said Baby Boomers have to go bust? 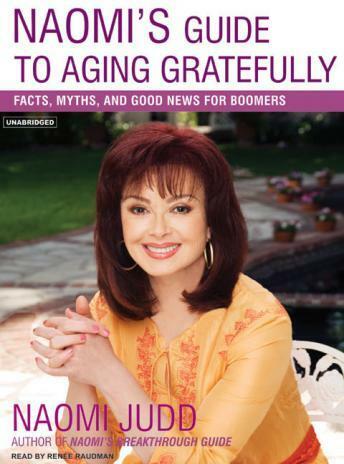 Packed with personal anecdotes, celebrity interviews, and Judd's uplifting 'lemonade-out-of-lemons wit and wisdom' (BookPage), this book shows how to turn our advanced years into our best years.